Dr. Velez is a clinical researcher and rehabilitation specialist at Hospital del Trajabador in Santiago, Chile. Prior to that he was the Medical Director at the Centros de Rehabilitacion Club de Leones Cruz del Sur in Punta Arenas, Chile. He received his MD in 1993 from the Pontificcia Universidad Javeriana in Colombia. Dr. Velez has a MS in hospital management from the Escuela de Administracion de Negocios, Colombia. Dr. Velez’s research interests include rehabilitation medicine, developmental delays, sleep, obesity, and stress. Dr. Barbosa is an experienced clinical researcher and pediatrician. She received her MD from Universidad Javeriana in Bogotá, Colombia. One year after finishing her residency in pediatrics, she moved to Punta Arenas, Chile where she worked at a nonprofit rehabilitation clinic for 12 years. She cared for children with special needs like autism, Down’s syndrome, and other developmental disabilities. She has tutored MIRT fellows since 2006. Her research interests include the relationship of bottle feeding and other sucking behaviors with speech disorder in preschoolers, obesity in children with disabilities, and sleep disturbances in children with physical and developmental disabilities. Additionally, Dr. Barbosa enjoys sharing Chilean and Latin American culture with MIRT fellows and other foreign visitors. Dr. Barbosa currently runs a Pediatrics Private Practice in Santiago, Chile. Dr. Gallardo is the executive director of Centros de Rehabilitacion Club De Lones “Cruz Del Sur ” in Punta Arenas, Chile and executive director of the Fudacion ESPERANZA in Bogotá, Colombia. Dr. Gallardo is also an associate professor at the Universidad De Magallanes in Punta Arenas, Chile. He received his MD in medicine from the Universidad de la Frontera in Temuco, Chile. Dr. Gallardo also holds MS degrees in Health Administration from the Universidad de Magallanes in Punta Arenas and in Education Universidad de la Republica in Santiago, Chile. 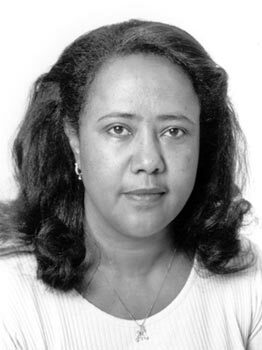 Dr. Demissie is a Professor and Deputy Director of Addis Continental Institute of Public Health (ACIPH). She is a renowned expert in community-based tuberculosis surveillance and control programs. Her current research and teaching interests focus on TB, Malaria, HIV/AIDS, and Vaccines Epidemiology. Since joining ACIPH, Dr. Demissie has developed and implemented several graduate teaching programs and advised more than 50 graduate students. Dr. Deyessa is an Assistant Professor in Psychiatric Epidemiology at the Gondar College of Medical Science at Addis Ababa University. He has been a faculty member and lead investigator of many projects in Psychiatric Epidemiology for more than 10 years. He has served as an advisor for more than 30 graduate students. He teaches basic and advanced epidemiologic methods to graduate students at Addis Ababa University and other major universities in Ethiopia. Dr. Kumie is an Associate Professor and Chair of Department of Environmental Health in the School of Public Health and College of Health Sciences at Addis Ababa University. Dr. Kumie has extensive experience conducting community based environmental health, water, and sanitation projects. He leads the Addis Ababa University Medical Students’ Rural Health Attachment programs and has served as academic advisor for more than 100 graduate students at Addis Ababa University and Addis Continental Institute of Public Health. Dr. Worku is a professor of biostatistics and the Chair of the Department of Biostatics in the School of Public Health and College of Health Sciences at Addis Ababa University. 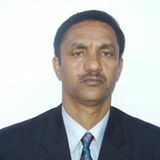 He is also a core faculty member at Addis Continental Institute of Public Health. His research interests focus on analytical methods for longitudinal epidemiological studies, randomized trials, and community based surveys. He serves as a referee for several statistical and biomedical journals and has more than 45 peer-reviewed publications. Dr. Worku has served as academic advisor for more than 80 MPH theses at the master’s program in Public Health and for more than 50 final year medical students’ rural health program attachment research at Addis Ababa University. Currently he serves as advisor for 5 PhD candidates at Addis Ababa University and Karolinska Institute, Sweden. He teaches basic and advanced biostatistics to graduate students at Addis Ababa University and other major universities in Ethiopia. Dr. Worku is the Assistant Professor and Department Head at Addis Continental Institute of Public Health in Addis Ababa, Ethiopia. She received her MD from Addis Ababa University in Ethiopia and her MPH from the University of Gondar, Ethiopia. Her research interests include infectious disease epidemiology and mother-to-child transmission. 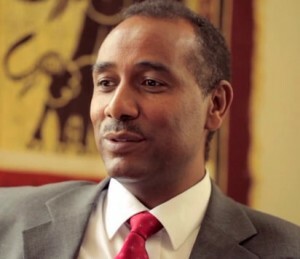 Dr. Berhane is a Senior Professor and Founding Director of Addis Continental Institute of Public Health(ACIPH), a center of excellence in research and training in East Africa. ACIPH provides masters level and PhD training in major universities in Ethiopia including Universities of Gondar, Haramaya, Jimma, Mekelle and Hawassa. He has developed and implemented several large scale research and educational projects in collaboration with the World Health Organization, United National Children’s Fund, and Ethiopian Ministry of Health. Dr. Berhane’s current research and teaching interests focus on reproductive health, nutrition, and HIV epidemiology. He has also been involved in research activities in the areas of childhood diseases, domestic violence, and environmental risk factors. Dr. Garcia is an assistant professor in the Department of Obstetrics & Gynecology at San Martin de Porres University in Lima, Peru. Dr. Garcia received his MD and MS in epidemiology from the Universidad Nacional Mayor San Marcos, Lima Peru. He also received a MPH from the University of Washington in Seattle, WA. Dr. Garcia’s research interests include obstetrics and gynecology, specifically preterm delivery and low birth weight. Dr. Larrabure Torrealva is an Endocrinologist and Professor of Medicine and Endocrinologist at the San Marcos National University and Instituto Materno Perinatal in Peru. Dr. Larrabure received her MD, MS, and PhD from the Universidad Nacional Mayor de San Marcos in Lima, Peru. Her research interests include endocrinology and gestational diabetes. 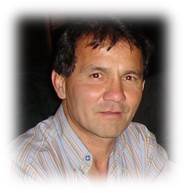 Dr. Pacora is an Associate Professor, Faculty of Medicine “San Fernando” at San Marcos University in Lima, Peru. Dr. Pacora is also the Chief of the Obstetrics Unit in the Department of Obstetrics and Gynecology, Faculty of Medicine “San Fernando” at San Marcos University. He is a Principal Investigator in the Pathology Institute, and Assistant Professor of the Department of Obstetrics and Gynecology at the Universidad Nacional Mayor de San Marcos Lima, Peru. Dr. Pacora received his MD in 1986 from the Universidad Nacional Mayor San Marcos. 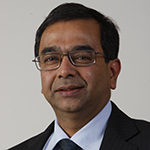 His research interests include obstetrics and gynecology, preeclampsia, and placental abruption. Dr. Revilla is the Director of Surveillance in Public Health at the Peruvian Ministry of Health. Dr. Revilla received his MD from the Rostov State Medical University in Russia and MS degrees in epidemiology from both the Universidad Peruana Cayetano Heredia and the Universidad Nacional Mayor de San Marcos in Peru. 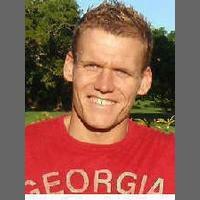 His research interests include surveillance and prevention of non-communicable diseases. Dr. Perez is currently the chief neurologist at the Dos de Mayo Hospital in Lima Peru and a professor in the Department of Medicine at San Fernando’s Medicine Faculty in Peru. He received his MD in 1983 from the Nacional University of Trujillo, Peru and his MS degree in 1996 from the Peruvian University Cayetano Heredia. His research interests include studies related to neurological disorders, migraine, and strokes. 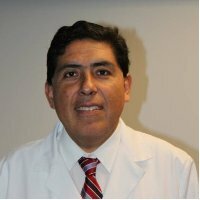 Dr. Sanchez is an experienced epidemiologist and the head of Obstetrics and Gynecology Department at Dos de Mayo Hospital in Lima, Peru. He received his MD in 1982 from the Universidad Nacional Mayor de San Marcos, Peru, and he received his MPH in Epidemiology in 1996 from the University of Washington in Seattle, USA. His research interests include reproductive and perinatal epidemiology, intimate partner violence, placental abruption, and infectious disease epidemiology. Dr. Lohsoonthom is an associate professor in the Department of Preventive and Social Medicine at Chulalongkorn University, in Bangkok, Thailand. He received his MD and MSc in public health from Chulalongkorn University. Dr Lohsoonthom also received his MS and PhD in epidemiology from the University of Washington in Seattle, WA. Dr. Lohsoonthom is a member of the Thai Medical Council and the Preventive Medicine Association of Thailand. Dr. Lohsoonthorn has been instrumental in creating and sustaining the MIRT-Chulalongkorn University collaboration. His research interests include epidemiologic methods; perinatal epidemiology, periodontal diseases, adolescent health, and cardiovascular diseases. Dr. Jiamjarasrangsi is an associate professor in the Department of Preventive and Social Medicine at Chulalongkorn University in Bangkok, Thailand. Dr. Jiamjarasrangsi received his MD from the Siriraj Hospital Medical School at Mahidol University in Bangkok, and he received his PhD in Occupational/Environmental Epidemiology from the School of Hygiene and Public Health at Johns Hopkins University in Baltimore, Maryland. His research interests include infectious disease epidemiology and tuberculosis. Ms. Lertmaharit is an associate professor in the Department of Preventive & Social Medicine, Faculty of Medicine at Chulalongkorn University in Bangkok, Thailand and an associate dean at the College of Public Health Sciences at Chulalongkorn University. She received her M. Sc. from the University of Brussels and her Masters of Medical Statistics from the University of Newcastle in Australia. 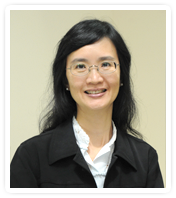 Ms. Lertmaharit’s research interests include biostatistics and health research and management. Dr. Pensuksan is an assistant professor at the School of Nursing at Walailak University, in Thailand. Dr. Pensuksan has a MSN from Mahidol University and an LLB degree from Sukhothai Thammathirat Open University in Thailand. She received her PhD in research for health development in 2010 from Chulalongkorn University Graduate School, in Bangkok, Thailand.